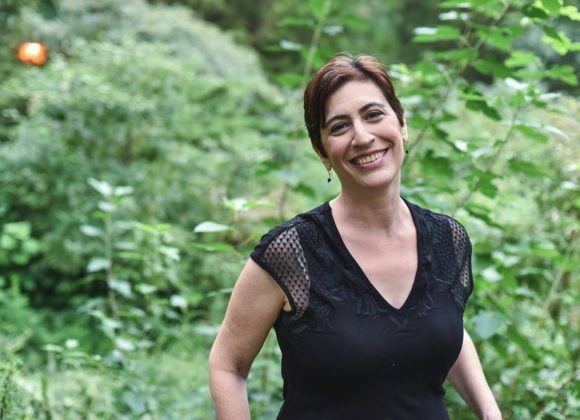 SHARON GOLDMAN is a New Jersey-based singer-songwriter whose “intense, insightful, vivid” storytelling is a “clinic in how to paint an indelible picture with the simplest images and symbols.” (Alan Young, New York Music Daily). Over several well-received albums released over the past decade, she has combined heartfelt portraits and memorable lyrics with unforgettable melodies and expressive vocals — taking a folk/pop sensibility to new artistic heights. She performs regularly at house concerts, folk coffeehouses, festivals, arts and cultural venues and community centers. Sharon was honored with a showcase spot at the 2017 Northeast Regional Folk Alliance conference; a finalist spot at the 2017 South Florida Folk Festival songwriting competition and three Honorable Mentions at the 2017 Mid-Atlantic Songwriting Contest.